I’m not sure what year it was, or even many of the details now, but one summer many moons ago, there were tales of huge sea-trout coming up the brooks and rivers of southern Newfoundland. Always up for trouting, and also for a chance to explore more of our great province, Eric and I decided to go have a look and see what we could find. Another one of the gang, not necessarily a usual suspect in all our schemes, but a gang member all the same, Cory Avery took the trip with us. We got up one morning, packed up our tackle and gear, and headed west out the highway, and then out around Bishop’s Falls, took the Bay D’Espoir highway south, driving down past Conne River and seeing places and sights that were all new to us. This part of the province is pretty remote, but beautiful beyond belief, with gorgeous coves, beautiful ocean and beaches and rivers. 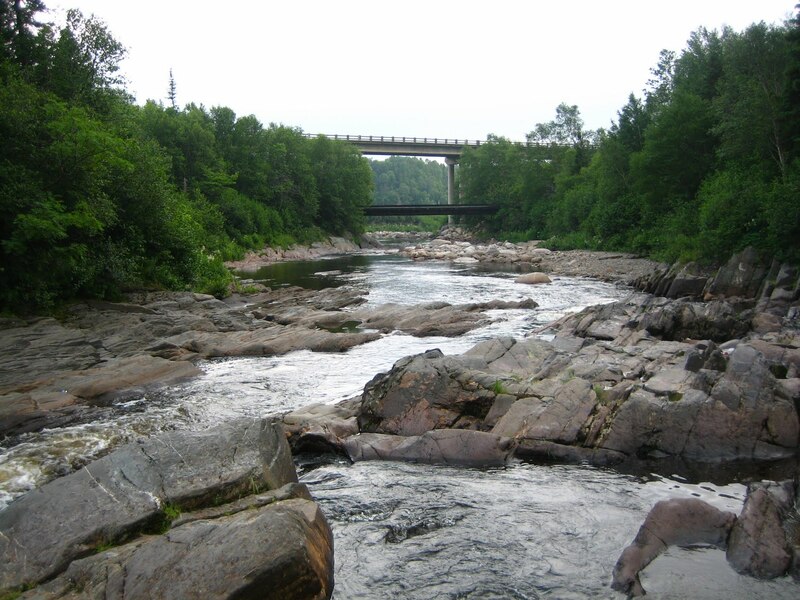 We really had no idea where to go, and I’m not really sure that mattered, but we made our way to Head of Bay D’Espoir and found some promising looking bridges and brooks, and tried our luck. Unfortunately, no trout were to be had that day, but we did explore and see a lot, including a trip in what I believe was a power utility road to a lake that was dammed for power. In there we also tried our luck, but again no trout. Eric (I think it was Eric) did hook and bring ashore a ouananiche (landlocked salmon). We farted around a bit more down in this area, and then packed up and made our way back home. The packing up though will be something I’ll always remember, because I broke the tip off my prized rod closing the trunk. I’m sure it was nothing fancy, but it was one I got during the closing sale of the old Chain Store, and I loved it, best rod I ever had. Anyway, another story and trip to remember for a lifetime :).